Over the course of the next 13 days, we will share the writings of Melissa Mouzin-Bennett. Roy Hancock and Melissa Bennett are the parents of precious Arthur who was born with HPE. In a memorial tribute to their beloved son, Melissa will share in her own words the things that Arthur taught his family about life. 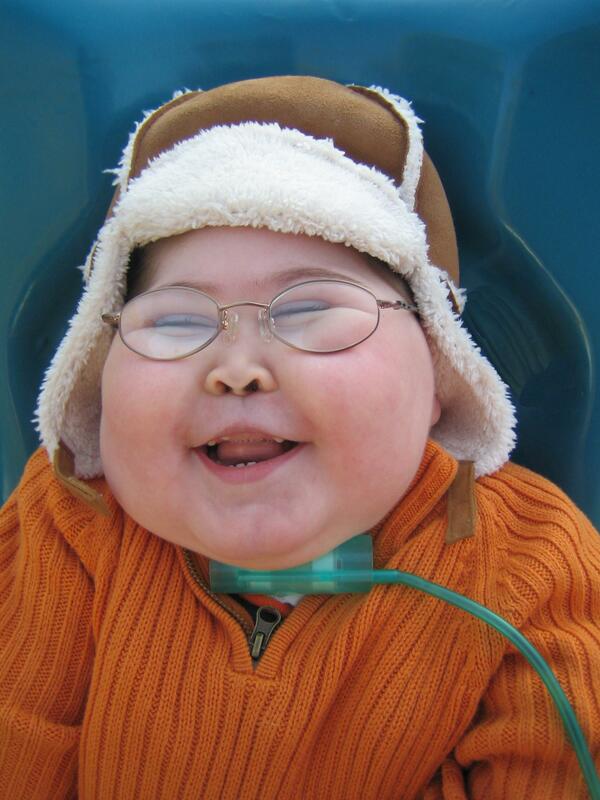 My son, David Arthur Lawrence Hancock (“Arthur”) was born on November 28, 2007 with a condition called Alobar Holoprosencephaly. What that means, in a nutshell, is that very early in his fetal development, his brain failed to grow and divide into the lobes that we are supposed to have. I was 34 weeks pregnant when he was diagnosed which means that for the first 33 weeks of my pregnancy I thought I was having a healthy baby. We were told by a medical staff that it was rare for babies with the severity of his brain “malformation” (as they called it) to be carried to term, this severity of the disorder usually leads to miscarriage. We were also told that he would likely be stillborn, but best case scenario would be his living out his short life in NICU, with modern medical technology, they could keep him alive from a few days to possibly a few months. The term they used to describe his condition was “incompatible with life”. Probably the worst thing the medical team had to tell me, as far as I was concerned, was what he would look like. I was told that he had “severe facial abnormalities”. He had microcephaly (meaning his head was too small) and a bilateral cleft lip and palate (all of the bone and tissue between his nose and mouth was missing, yet another part that failed to grow and develop). 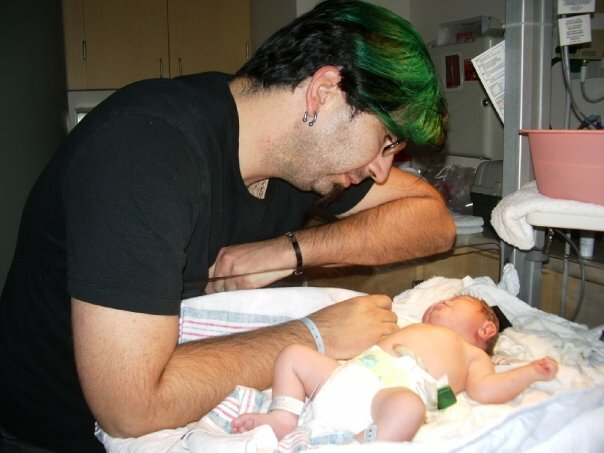 I was absolutely prepared to give birth to someone who would not only behave very different from most babies, but he would look very different as well, and as we decided to deliver at a hospital that was 3 hours from home so he could get the best care possible, I was also going to be induced 2 weeks early. That gave me exactly 4 weeks to process this information and prepare. I was absolutely terrified. I wasn’t ready to make the decisions that were placed before me and I absolutely wasn’t ready to condemn my son to living out an all too short life in a plastic box. In one respect, I wanted to hold on to him and never let him go. Another side of me was so afraid of what he would look like and I questioned if I had the courage to even gaze into his face as I was expecting it to be horribly malformed. Finally, Roy and I made the decision shortly before his birth to have him placed on palliative care, meaning no extreme invasive procedures were to be done. This would ensure that we would be able to take him home and make memories with him. We chose quality of life over quantity. A decision that no parent should ever have to make. The day Arthur was born was absolutely surreal. My biggest fear that day was what would he look like. Funny when faced with enormous legitimate fears, our minds always choose to dwell on something so insignificant, but they do. I didn’t want to see him for several minutes after his birth, and the medical team was instructed to give him to his dad first. I needed time before I could meet him. The doctor handed him to his dad and informed me that he was really cute, she was sure he looked nothing like I was expecting. I still wasn’t sure so I let Roy bond with the little squirmy blanket in his arms for a while longer. I noticed how Roy was absolutely undisturbed by Arthur’s looks. Then he told me that Arthur had my eyes, and I totally couldn’t resist taking a peek at my son. He was absolutely beautiful! Yes, he had a cleft palate, yes, his head was too small, but only at the top which made his cheeks look even chubbier than they were. No, he didn’t look like most babies, he looked like my perfect little man. And Arthur looked back at me with those blue eyes that were little clones of mine, and I knew I had the courage to do this. I want to honor Arthur’s life this year by writing a daily note from now until December 11, the day he went to heaven (our family calls this Angel Day). Since Arthur was born without the ability to learn, it’s obvious he was here for one reason. To teach. Each day I want to discuss a virtue Arthur taught us and also include a never before posted picture of him. I feel that not only is this a wonderful way to honor a beautiful life, but also as it is so close to Christmas, to remind us all of how we should be treating ourselves and each other. Today’s virtue is courage. I don’t know if Arthur was courageous or not. He was handed a really crappy set of genes, and was fortunate enough to be an infant without the intellect to truly understand what was happening to him. He taught US courage though. Roy and I learned how to speak up and make some very unpopular decisions that we felt would add quality to his life, even though we knew they likely reduced his days on earth. We also learned to face each day “as if” nothing was wrong. We wanted Arthur to know he was loved and that’s all we cared about. I feel that now that we have experienced life with Arthur, we can handle anything. The first moment I laid eyes on my little man. Gazing into his little blue eyes gave me all the courage I needed for this journey. One of our HPE families worked with a Massachusetts legislator to make today Holoprosencephaly Awareness Day. As we count our blessings today, we celebrate our special children and the families who work day-in and day-out to bring HoPE to our families, our communities, and our world. Halloween can be a challenge for parents, and there are so many uncertainties that we face. Will it keep my child warm enough? How do we incorporate the wheelchair into the costume? How do we get to the front door if there are steps? My child has a g-tube, so what do we do with all of this candy? We won’t spend this Halloween in the hospital again, will we? Do you have a Halloween memory you would like to share? If so, please comment below and share your memory. 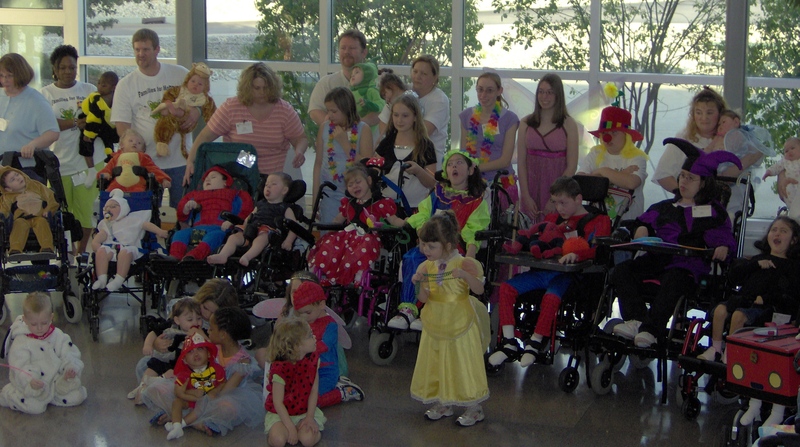 If you would like to share a photo of your child in a costume, please send the photo to info@FamiliesforHoPE.org. Everyone have fun, stay safe, and don’t go to bed with a tummy ache! It only takes one look at the smile on 3 year-old Maeve Tierney’s face to see that she’s full of sweetness, and apparently, that’s a family trait. Maeve’s 8 year-old cousin, Cece recently used sweet treats to help raise funds and raise awareness of HPE. At Craneville Elementary School in Dalton, Massachusetts, Cece’s third-grade teacher gave $5 to each of the students and challenged the students to make that $5 “grow”. Each child was allowed to choose his or her own method of growing the $5, and each was required to select an organization he or she felt strongly about supporting with the earnings. Inspired by Maeve, Cece chose Families for HoPE as her charity, and she invested her $5 in supplies to make brownies and muffins. Once she had the product ready and her marketing plan in place, Cece set up shop outside of her grandfather’s business, with HoPE for a profitable bake sale. Priced at $1 per sweet treat, Cece grew her $5 into $43.00! Such an awesome job, Cece! Thank you for being so thoughtful and sweet! …Do you have an idea to add to the list? If so, comment below. In the world of special needs, there is a phrase called, ‘People-first language.’ I was first introduced to this term, while pursuing my Bachelor’s Degree in Special Education. People-first language is exactly what the phrase says… putting people first! In this case, it’s putting the person with special needs first, with their disability second. When you say, “The Autistic kid” or “The HPE girl” it’s almost like you are dehumanizing that person, or defining them by their disability. This made sense to me as a teacher of children with special needs, and it makes perfect sense to me now, as a mother of a child with special needs! From a personal perspective, when I introduce my daughter to someone new, I want them to see Abby. Not HPE Abby! 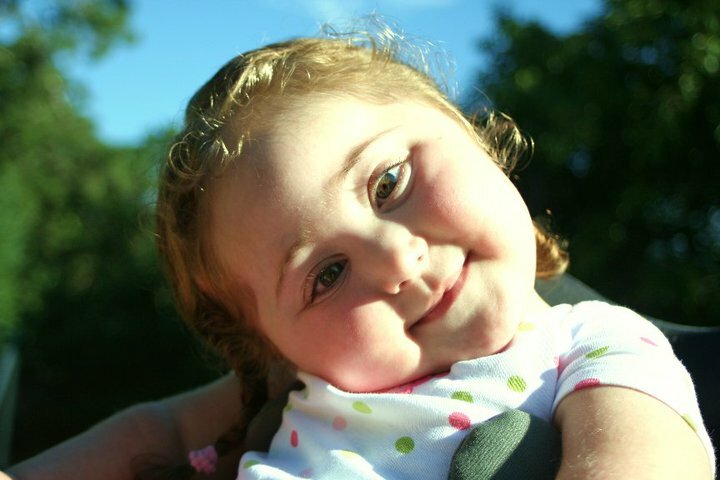 Abby is a beautiful girl, just like all of the other children with or without HPE/special needs. This is how I want the world to see her! I don’t want the world to look at her and see her HPE. Yes, HPE is a part of Abby and that’s why we are all here, but she is a person, before her HPE! HPE is briefly discussed in our ‘About’ section, but if you are new to this term, you may find yourself wanting to know more! Well, look no further, because we have an explanation for you!